Hi everyone, this week I have chosen a number of cards from two decks and will give you the over all message of the week. There are two Archangels working with us this week. Archangel Raphael who is the healing angel, the angel of physical and emotional healing. He asks us to work with him and set our intentions of sending healing to others whether we are professional healers or not. We heal with our words and our deeds too; he asks us to speak from our hearts as we have conversations with others. His colour is green which is the colour vibration of the heart chakra. Our second Archangel follows on from that, it is Archangel Gabriel who works with us to communicate to others. She asks us not to let insecurities hold us back. She reminds us that many of us have life purposes of writing books and speaking to groups. She is by our side sending us help through our thoughts, ideas and intuition. This is also about keeping a daily journal of your thoughts and feelings or about writing or speaking your own truth to others in your life. Or simply getting your feelings out on paper and burning it, to let go of what is no longer needed. Considering the options that we have in situations in our lives, where we don't have the full picture yet is advisable this week. Situations have been slow moving with mercury in retrograde so we can only work with the information that we have at this moment. Considering our options will help us feel that we have done all that we can do for now and of course we are asked to trust and believe that Spirit will bring more clarity later in the week when we have the full moon energy. Also watch your night time dreams for messages and clarity too. Writing them down, checking out meanings on internet and using your own intuition will bring what you need to your attention. There is a focus this week on relationships Our angels are helping with spiritual romantic connections and other soulmate connections. This actually is the same focus that I saw in another reading on youtube today, which is accentuating the message even more. There may be conversations taking place during the week with partners, husbands, wives, soulmates, where we are asked to communicate in a loving, compassionate and respectful way and at the same time being assertive and in our own power. We are asked to practice our skills over and over to polish them. It is a reminder to remember all that we have learned so far, all the tools we have acquired along the way and to practice them when connecting with others. They say that crystal energy will be beneficial this week too. Clear quartz comes to mind for clarity and also of course rose quartz to help heart energy. Other than that work with whichever cyrstal you are drawn to. 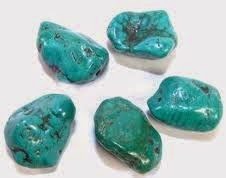 The blue ones will help your throat chakra while using your voice to have these conversations. Lapis lazuli and turquoise are two blue stones. Ps/ the youtube reading that I referred to is by gr8angels444.